For the first time ever, Jesuit brothers will be electors at a General Congregation. One of them, moreover, will be the youngest elector at the upcoming Congregation: James Edema. This 39-year-old counselor from Uganda was elected by the Jesuit Conference of Africa. At the age of 66, the Australian Ian Cribb is the oldest elector. His theological area of specialization is spirituality and he was elected by the Conference of Asia Pacific. The Jesuit Conference of Canada and the United States, for its part, chose Brother Guy Consolmagno who, at 64, is an astronomer with a Ph.D. in Planetary Science and is the current director of the Vatican Observatory. Brother Consolmagno has authored numerous books and is interested in the intellectual apostolate, especially the relationship between faith and science. The 54-year-old Brother Stephen Power from England was elected by the Conference of Europe. He has devoted himself to the social apostolate, especially the Jesuit Refugee Service, and has worked in London, Sudan, and Kenya. 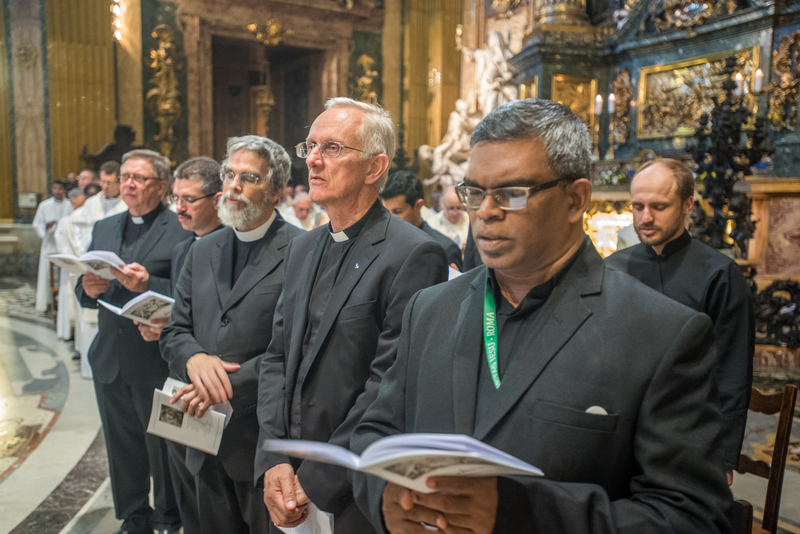 The Jesuit Conference of Meridional Asia elected a 51-year-old educator from India, Brother Thomas Vaz, who is the Coordinator of the Education Sector of his home province, Mumbai. Brother Eudson Ramos, who at 42 years of age is the current socius for the provincial of Brazil, was elected by the Conference of Latin America. He has worked as an administrator and vocations promoter. It is worth repeating that, although brothers have participated in past General Congregations, this is the first time they shall do so as electors. Translated by Luis Tampe, SJ from the original in Spanish, published at CPAL website.